“I was very nervous about the procedure, but after getting there I felt so much better,” wrote a 43-year-old patient. “The staff made me feels so much better. They treated not as a patient but as family. Not one time did I feel uncomfortable? 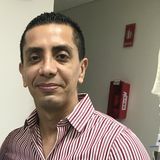 They were the best.” To see this patient’s photos and read their full testimonial about Dr. Mario Alberto Almanza Reyes and his practice in Tijuana, Mexico, click here. Dr. Mario Alberto Almanza Reyes is among the world’s best bariatric surgeons – he’s based in Tijuana, Mexico.